Divorce can be an extremely stressful time for people, mainly because often at least one-half of the couple doesn’t see it coming. Most people enter the marriage with the expectation that it will last a lifetime. However, almost half of all marriages end in divorce. If you find yourself in this situation, you will need the help of legal counsel, particularly if you cannot agree with your spouse on how to negotiate the divorce. When you need qualified legal support to help you navigate the emotional, financial, and legal issues involved in a divorce, you can rely on the San Diego family lawyers at The Edmunds Law Firm. We bring 40 years of national and international experience in divorce law to your case. Get the answers and advice you need from an experienced San Diego divorce attorney: Call (760) 634-7630 or email us to request your free initial consultation. Why Choose Our San Diego Divorce Law Firm? What Makes Divorce So Complicated? One of the reasons divorce can take so long is that you’re separating two entangled lives. Not only does the couple likely share a living space, but most of their property and assets are shared. If the divorce isn’t amicable, the couple will have a difficult time figuring out which asset belongs to which partner. Often, asset division involves the participation of an attorney. He or she can assist you and your spouse in dividing your assets, if not equally than equitably. Before you go to court over property, consider asking your attorneys about alternative dispute resolution (ADR) techniques, such as negotiation or mediation. Many couples have opted for ADR in order to save time and money. In addition, children can make divorces much more complicated. If the couple can’t agree on physical or legal custody, the courts must get involved. The law also makes decisions on custody based on the child’s wellbeing. If you need help agreeing on terms with your spouse, contact an experienced divorce attorney. If you’re ready to begin your divorce, contact one of our experienced San Diego divorce lawyers. We have served families in the Southern California area for more than 4 decades and have helped other divorce clients around the world. From asset division to custody rights, we have extensive experience assisting people in resolving their divorces, in court or through ADR. Let us help you through this difficult time. 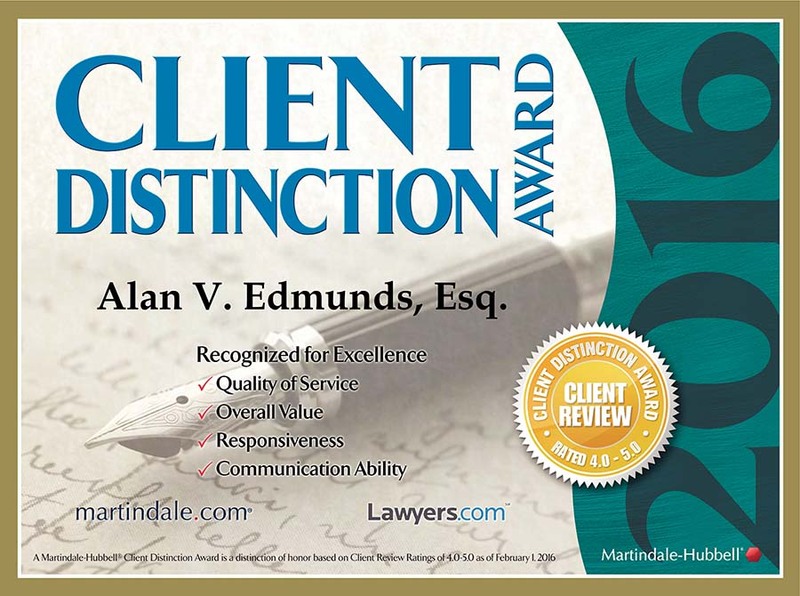 If you’re looking for the best San Diego divorce attorney, one who has the knowledge and insight to represent clients in all aspects of a divorce, you can rely on The Edmunds Law Firm. We offer the responsive service and skilled legal support you deserve. Call (760) 634-7630 today to schedule your free initial consultation.